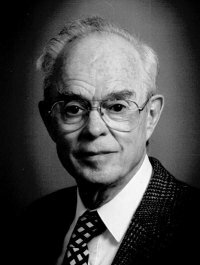 Eugene N. Parker has developed the theory on the supersonic solar wind (1958) and predicted the Parker spiral shape of the solar magnetic field in the outer solar system. In 1987, Parker proposed that the solar corona might be heated by myriad tiny "nanoflares", miniature brightenings resembling solar flares that would occur all over the surface of the Sun. NASA announced that for the first time in its history, a spacecraft is being formally named after a living person -- previously known as Solar Probe Plus, the Parker Solar Probe was renamed for Eugene Parker, the astrophysicist who discovered solar wind in 1958. The announcement was made at a ceremony at the University of Chicago on May 31, 2017. NASA's historic Parker Solar Probe mission will revolutionize our understanding of the sun, where changing conditions can propagate out into the solar system, affecting Earth and other worlds. Parker Solar Probe will travel through the sun's atmosphere, closer to the surface than any spacecraft before it, facing brutal heat and radiation conditions - and ultimately providing humanity with the closest-ever observations of a star. The mission is made possible by a shield constructed from a carbon-carbon composite, which will keep the probe's instruments safe in the 70-degree range. Launching as early as July 31, 2018, the probe will make 24 orbits of the sun. It will get within four million miles of the star with the gravitational assist of seven Venus flybys.